Subject: Tired of long game setup. 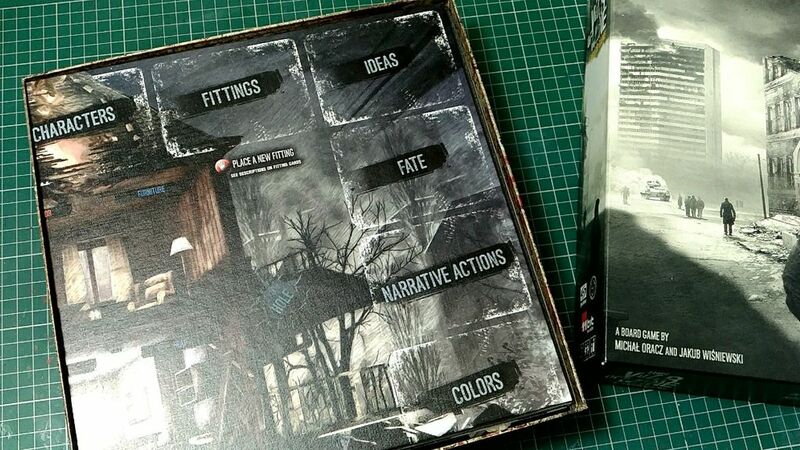 Finally I decided to make an insert for this game. I was so tired of the long card setup and having to sort everything every time I played. Its fun looking after my games but this one is just silly with components and extras. 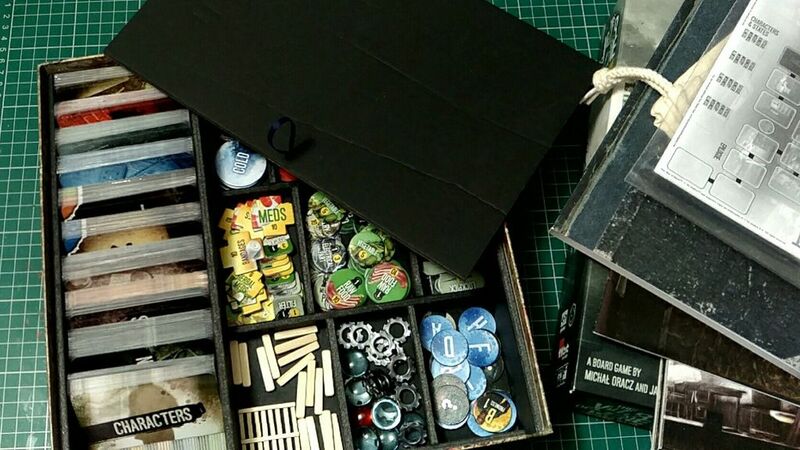 I really have a pet hate for those game inserts that just compartmentalize every single component and don't change or reduce the amount of setup time. For me creating an insert that can help reduce this problem ultimately means less time messing about and more time playing. There are three areas I try to consider when making an insert. •Reducing the size of the footprint a game has on the table,by keeping unnecessary parts in the box. •Making every component more accessible by keeping it in one place in the box. Easier to find. •Reducing the setup and teardown of the game. Allowing more game time. Here is what I have produced so far, but usually there will be a few more tweaks and changes made to simplify or make components more accessible. I would like to add some dividers for the cards with the correct graphic and font to help with card recognition system. Ultimately I would like to just have one of each card on the board at any one time so that saving the game would be incredibly simplified and setting back up too. Pulling a card from the box and placing it on the board would be just as simple as having all the cards out on the board if the game box could have a simple alphabetical index for playing the cards . 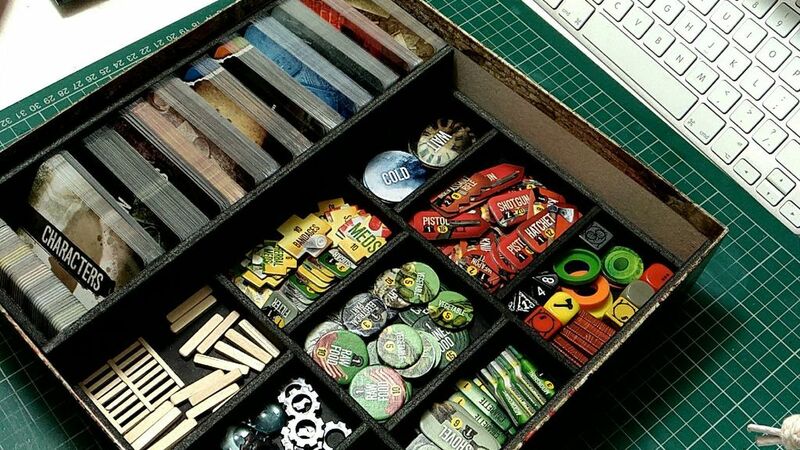 Wouldn't it be great if we could buy such a system for games as a simple add on instead of all that wooden garbage that makes no difference to the game. The board should fit and the box should close as normal. The cards are spaced out too much for the time being, enough to test if an index system would work. I see no reason all the other cards for the expansions scenarios couldn't go in here too. There's also plenty of space for books , scenario sheets and cloth bags. There is also a permanent storage tray with the correct amount of compartments that will make everything accessible without removing anything from the box. There is also I lid which fits securely reducing the chances of parts wandering all around the box.I am considering adding edges to this lid and lining it with felt so that it can be used as a dice tray during game play. Possibly some of the components could stand on edge on a coin tray of some kind. I'm sure this could be tweaked somewhat. Ideas are welcomed please. Lastly , The player attributes are stored on a rail allowing them to be selected when required. **NB** My characters are stored in a separate box alongside the furniture pieces but I will reduce the size of the top tray slightly and add a smaller magnetic compartment which sits above or below the books. Which will hold the standard game pieces safely. Looks fantastic and well thought out. I sometimes try to make inserts myself but they are rarely so well done. 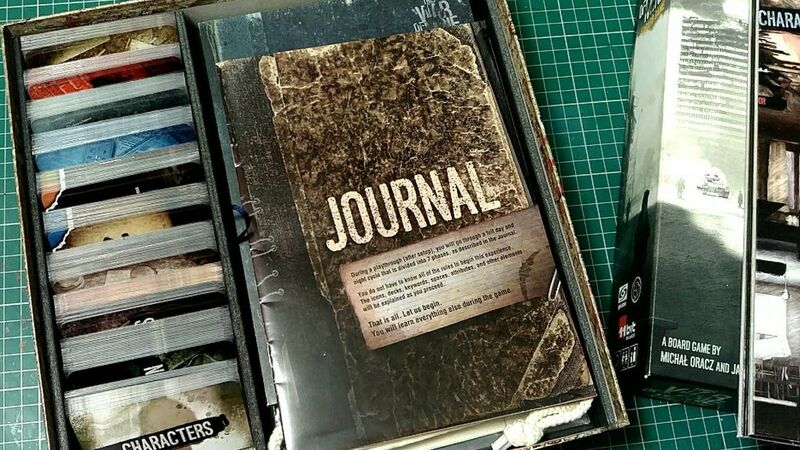 I am especially looking forward to making one for this game as currently everything is cluttered in the box in bags. I'd be interested to see if you can manage to fit the minis in there as well. Looks brilliant Andrew - cheers for sharing! Congratulations for this work, I think that will inspire me to make my box. 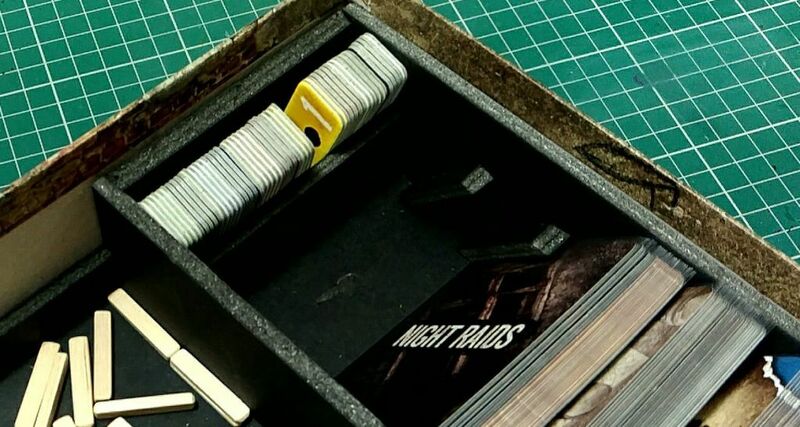 In fact what would be good for the backup / restoration of the game sessions is that the game board is equipped with small plastic inserts to put the cards. A bit like the game "Mysterium" do you see what I mean? We could then let the board store the cards on their different locations and we would store the packs of cards (which is fast). Maybe it is feasible by sticking card protectors cross cut to easily slip the cards in. What do you think of that? I'll try but I'm afraid to damage the board with bad glue ... Sorry for my english, I use Google Translate. Good game to all. Oooops! In fact it does not work for some location when you fold the board. It seemed like a very good idea but in fact it is very bad :-).